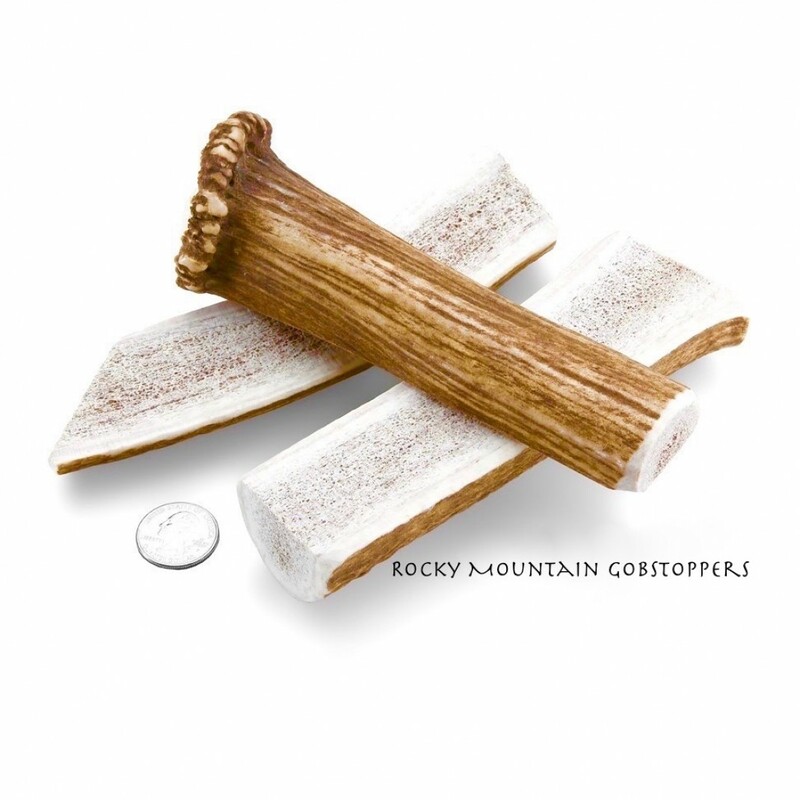 MEDIUM-SPLIT Rocky Mountian Gobstoppers are Premium Antler Chews cut from the highest quality Elk antlers Available anywhere! 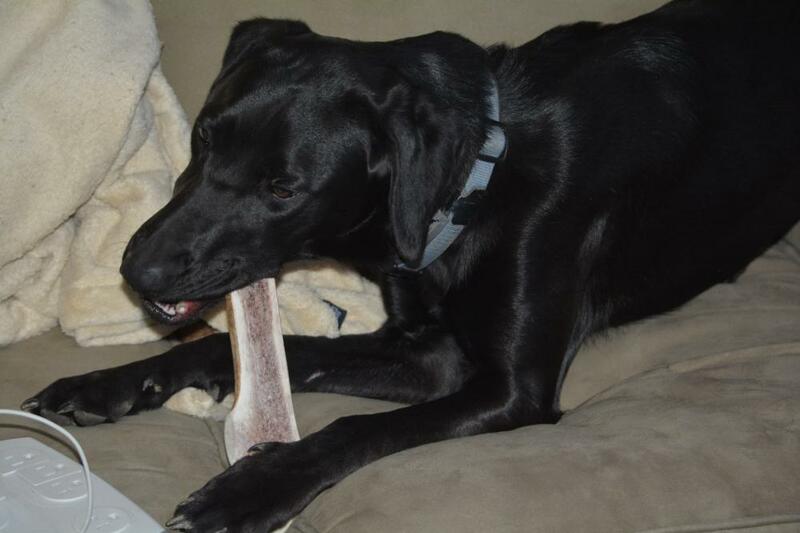 Our sturdy Split-Antler chews allow your Dog safe yet easy access to the healthy and yummy marrow center! PLEASE SHOP AROUND AND COMPARE PRICES! 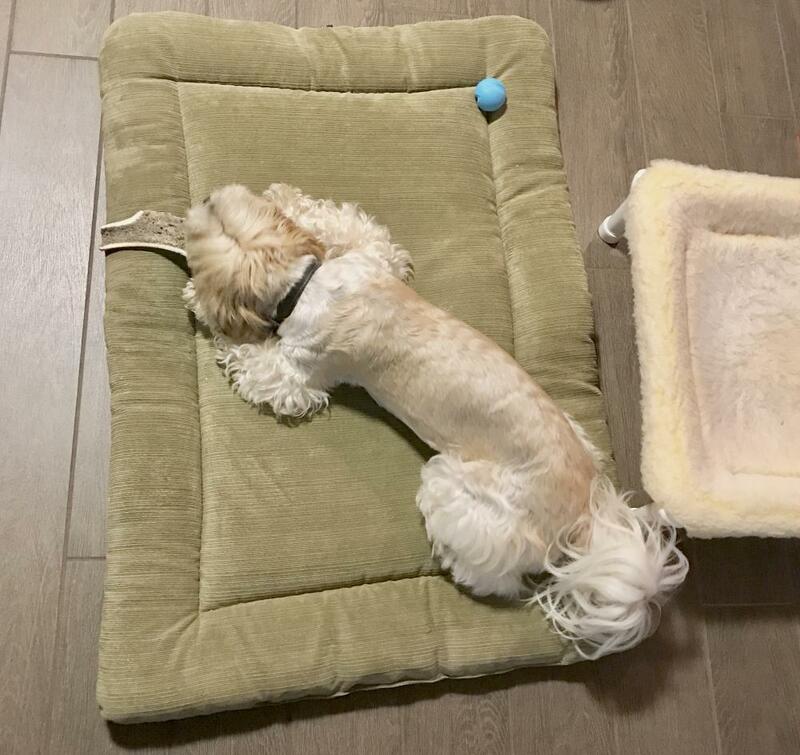 Our by the pound price is fair, if you do your homework you will see a much better value as compared to retailers offering individual antler chews. Please help us spread the word! 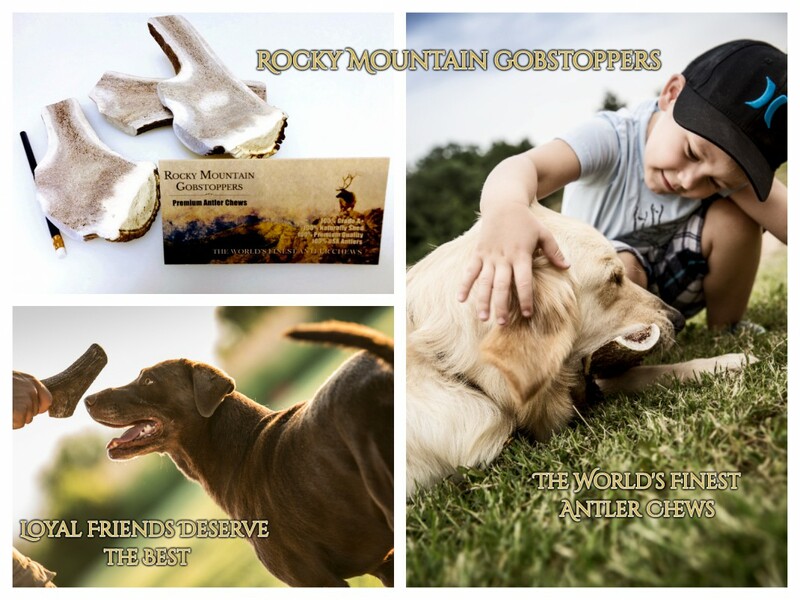 Get more antler for your buck with our Premium Elk Antler Dog Chews! I have bought a lot of different brand Elk Antler. This by far is the freshest I have seen. The rich dark color, soft. We're fostering a dog that we believe is lab and greyhound mix. This boy chews toys up faster than we can buy them. He destroyed a tennis ball in under 20 minutes! He loves these Gobstoppers. They are solid which stands up to his strong bite. They must be flavorful because they keep his attention for hours; and we feel good about giving them to him knowing that they're all natural. The value for the price exceeded our expectations. We highly recommend this product for any dog who enjoys chewing/bones. This is the second time I'm purchasing these antlers,and this time, I bought in bulk. Why? Because my dogs love them! They love the split antlers, AND the whole antlers. What a great product! Thank you! I have purchased these antlers 3 times now and I have never been disappointed in any way. My dogs love them, they are a great price and truly long lasting. I recommend them highly!